Robotics puts Europe closer together. 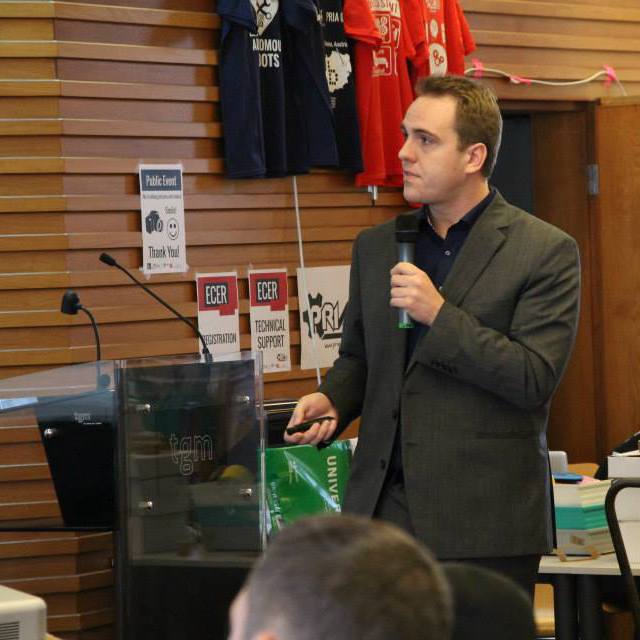 Engaging students in Robotics and Science. Botball is a non-destructive, team-oriented robotics competition that gives every team the same chances. 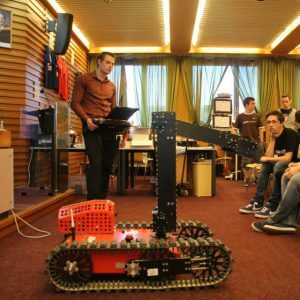 Each team gets a robotics set consisting of metal and Lego parts, sensors and actuators, two robot controllers, as well as a vacuum cleaning robot. New competition tasks are developed every year and only published at the Botball workshop at the beginning of the new season, giving every team the same time for developing their strategies and robots. Special focus is given to planning, documentation, and quality of technical solutions. Besides winning the competition, special awards are granted for best programming, best mechanical engineering and best documentation. Team-oriented, exciting, fair! All information about the official Botball tournament are available to teams at homebase.kipr.org. Are you looking for an inexpensive and fast way for learning robotics and experiencing a tournament? Then this might be the right choice. As opposed to Botball, this tournament is not restricted to any robotics parts as long as they are inexpensive. That means you don’t need a comprehensive sets, but only the particular parts you want to use. 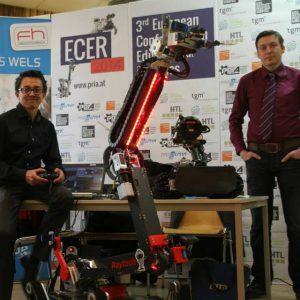 The PRIA Open is a separate tournament besides the events of the Botball program at ECER. It is based on the Botball game table, the rules are equal to the Botball game and will be announced at the workshop. The official Botball Game Document is valid for the PRIA Open tournament, except for the allowed parts for robots. If you have any questions please ask them on the forum. If you have always wanted to watch your drone navigate autonomously through obstacles, the PRIA Aerial competition is for you. Here as well, all students (up to high school) can participate! Also, you can use any robotics parts you like. You must use an autonomous flying object (drone) to solve the task. The Aerial Game Document contains the official tournament rules. It is up to you which kind of robot you want to use. Our recommendations: AR.Drone 2.0 (~300 €) / Crazyflie Nano (~115 €). Since 2016, we’re also running an underwater robot tournament. We provide the robotic submarine, you program it! During the competition, you will tackle navigation and other tasks. A whole new experience! Depending on interest, the Underwater competition will return at ECER 2018. If you have any questions please ask them on the forum. 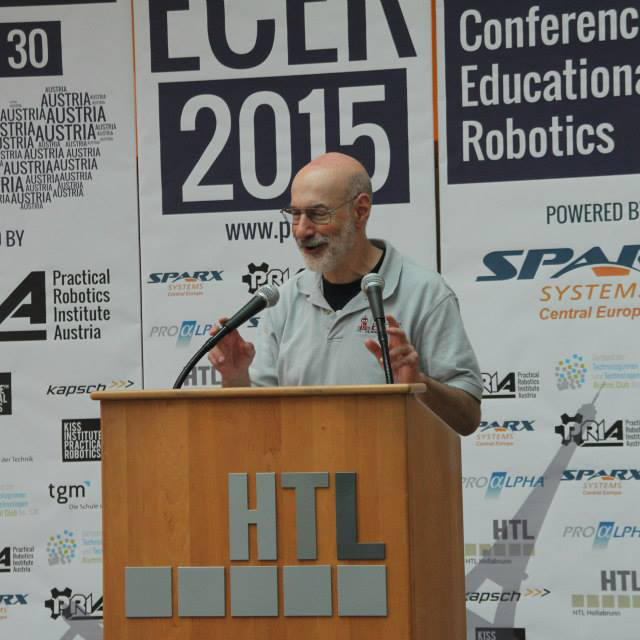 Apart from robotics competitions, research is a fundamental part of ECER! 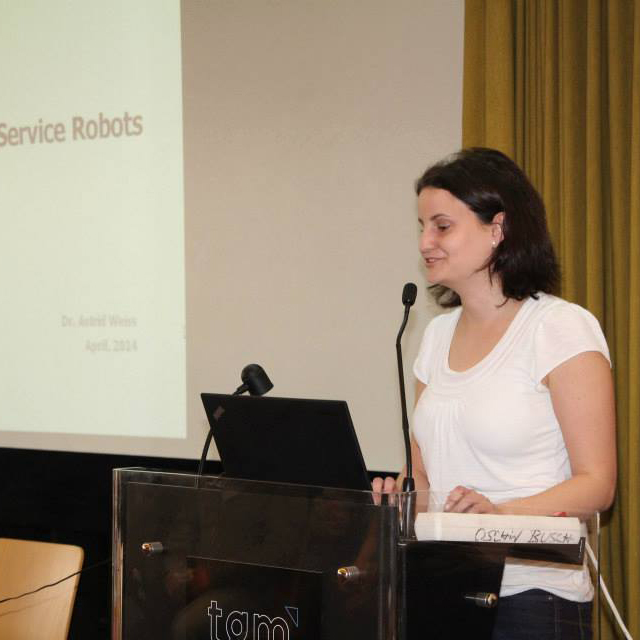 Every year, we invite established researchers to shed light on recent advances in robotics and related fields. 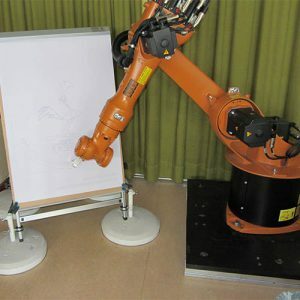 A permanent attraction of the ECER are the robotics showcases. They ranged from the first mobile robot for use in fire departments to a pancake robot. Our guests have started just as our competition participants: as young, interested, robotics students – let’s keep the enthusiasm!